Icebox Cake - Chocolate Chocolate and More! Welcome to my baking adventures. Report cards came home last week. Luckily, in my house, it’s always a reason to celebrate. All three kids made A Honor Roll. The perfect reason for cake. 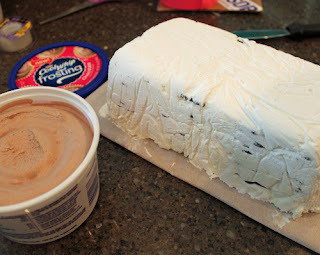 This time I decided to go with an Icebox Cake using Cool Whip Chocolate Frosting. My kids are 15, 13 and 10. I’ve got one in each school. School isn’t like it used to be when we were growing up. In some ways it’s so much easier. The kids have access to the internet and immediate answers to any question they can think of. Teachers all have e-mail so they are more readily available for both the students and parents. It’s also harder. If they want to go to college after high school, they need to start working towards that goal in middle school. No goofing off, taking the easy classes. Extra curricular activities are a must. We want our kids to be whatever they want to be and have every opportunity to choose their path, not get stuck with what’s available. That means they have to work hard now. Not that we don’t have dessert all the time. Come on, you know me and my sweet tooth. Sometimes dessert needs to be special. Like when you’ve got straight A’s staring you in the face. I headed off to my favorite Walmart to get my supplies. Then back home and quickly put my cake together. Just layer the whipped cream and the cookies, set it in the freezer, then for that added touch, frost with Cool Whip Frosting. I’d forgotten how satisfying an Icebox cake can be. And that extra frosting, well, it just might have been eaten with a spoon. Whip cream until soft peaks start to form. Add in Sugar and vanilla and continue to whip until stiff peaks form. Line a loaf pan with plastic wrap. Place about 1/2 cup of whipped cream in bottom of pan. Place a single layer of cookies on top of whipped cream trying to cover as much of the surface as possible. It's ok to break the cookies if you need to. Add a layer of whipped cream, then cookies. Continue to layer until you reach the top of pan, ending with whipped cream. Cover with plastic wrap and freeze for at least 4 hours. Remove from freezer and invert cake onto serving platter. 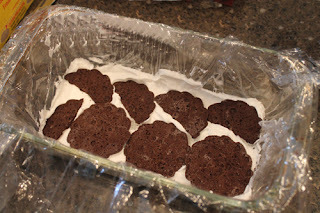 Frost top and sides with Cool Whip Frosting. Return to freezer until 30 minutes prior to serving. For ease in slicing use a knife run under hot water and wipe knife after each slice. I’m sharing at some of these great parties. Coupon printing help resource. MAC users, please use browser other than Chrome. I am a member of the Collective Bias® Social Fabric® Community. This content has been compensated as part of a social shopper insights study for Collective Bias® and Kraft Cool Whip. #CoolWhipFrosting #cbias #SocialFabric All opinions are my own. Get all of these delicious recipes delivered directly to your inbox. Oh man that looks good. Mouthwateringly so! Well done to your children as well…definitely cause for celebration! Yay for you kids and yay for this dessert! What a nice mamma! Is THIS what icebox cake is? I had no idea! I want to make this and soon….not only am I pinning, I’m also posting on FB. What a great recipe! 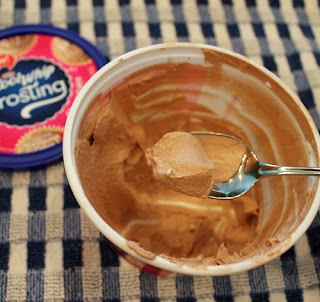 Confession time: I ate the leftover frosting with a spoon too! You cake looks MOUTH-WATERING! Oh, my goodness! Your Icebox Cake looks beyond scrumptious! I would certainly be a Mom hero if I were to treat my family with it – thank you so much for sharing the recipe! We are already quite taken with the Cool Whip Frosting and I agree that it would make the most tasty final touch! My mom never made me a cake like this when I made honor role! You are an awesome mom! Thanks for linking at Show Me Your Plaid Monday’s! I would win Wife of the Week award if I were to make this cake. It looks delicious. If you get a chance I would love for you to come link up at my Tuesday Pin Party. Yours turned out so beautiful Joan. Not fair. My walmart doesn’t sell the wafer cookies. I live a really sad life. That looks so good! Funny, I was just at walmart looking at a box of wafer cookies and didn’t buy them because I wasn’t sure what to make with them. Now I wish I did buy them. Wow, this has me drooling! Delicious! I don’t think our local Walmart has those thin wafers, but I’m definitely going to have to check. 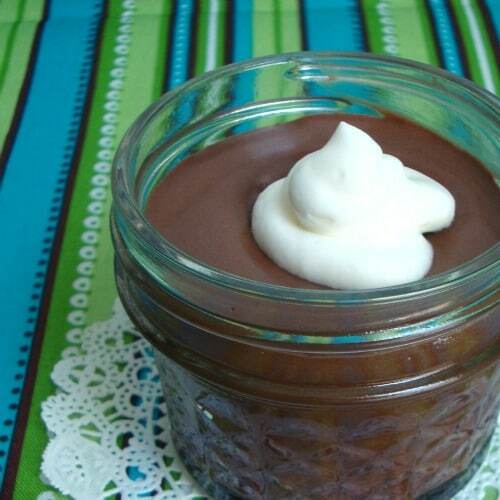 I’d be thrilled if you’d link up this yummy treat at this week’s Off the Hook! So pretty and what smart kids you have, you should be very proud of them! How wonderful that your kids got this treat to celebrate their grades, good for them. This cake looks so yummy, I would love to have a big piece of it right about now. This looks fantastic Joan; totally making this! I love that you used chocolate Cool Whip on the top; looks great! Thanks for sharing this last week at Saturday Show & Tell! Love, love this cake!!! Congrats on the success of your kids! ummm…. yes please! Thanks for sharing at Two Cup Tuesday at Pint Sized Baker . I hope to see you again there tomorrow night! All Chocolate Chocolate and More content and images are copyright protected. These items cannot be republished or used without prior written permission. Any licensing inquiries for commercial use, publication and/or general distribution can be sent to admin@chocolatechocolateandmore.com.